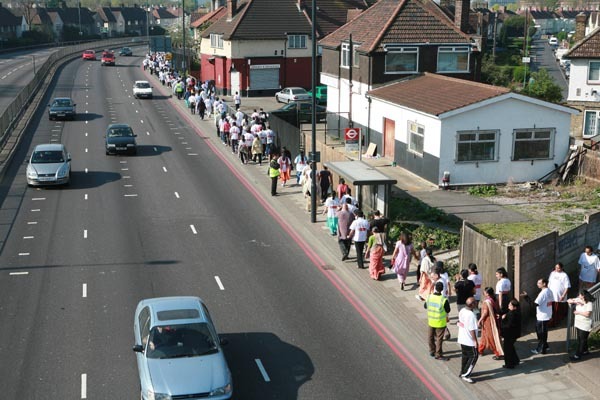 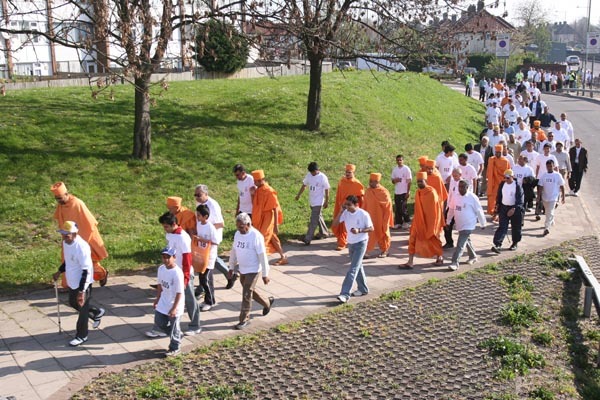 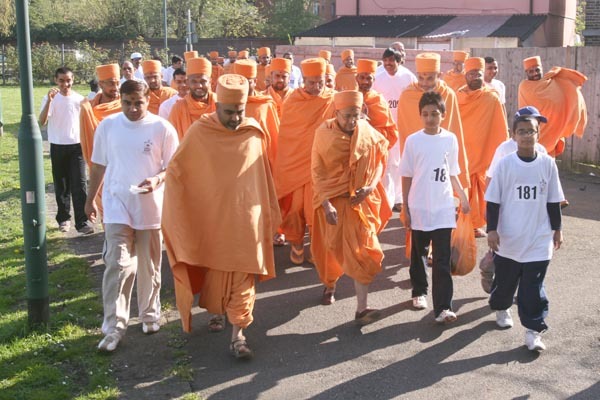 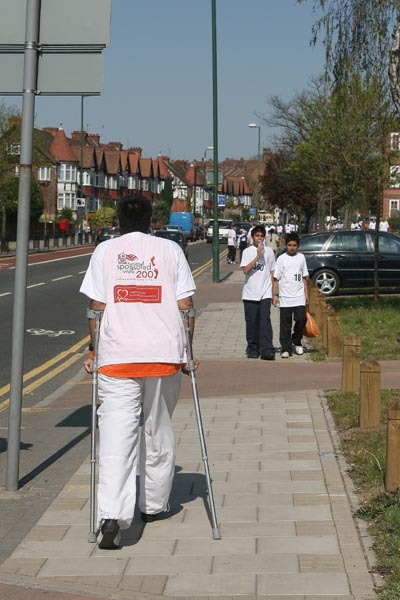 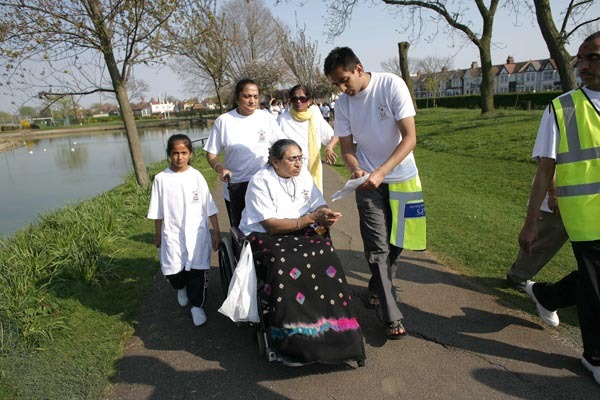 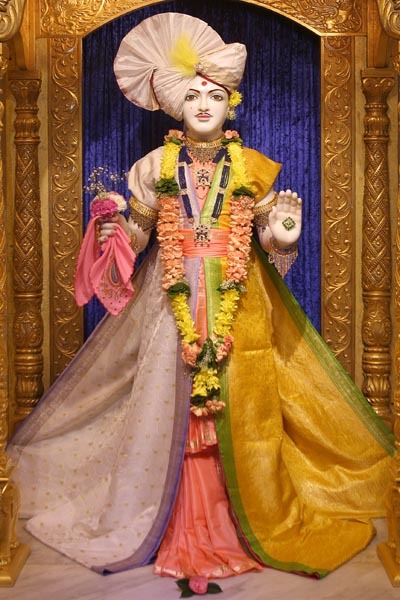 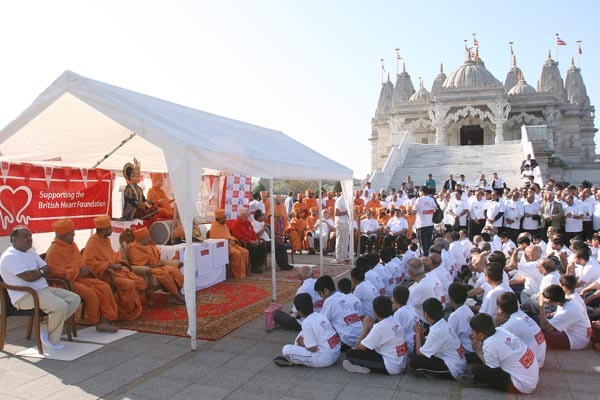 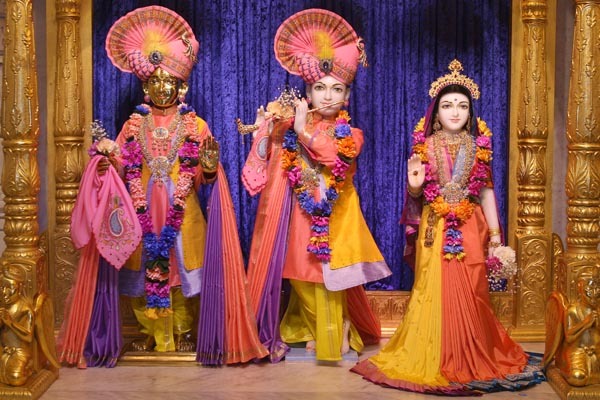 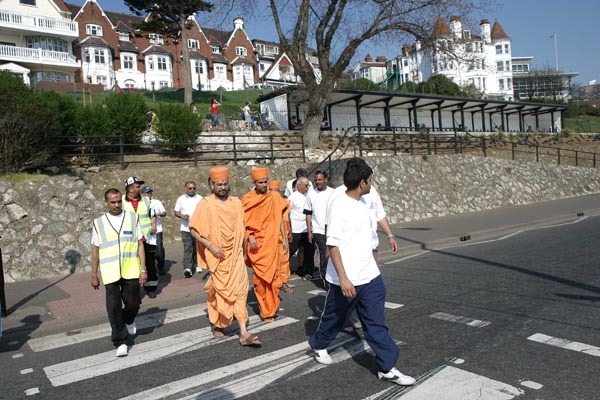 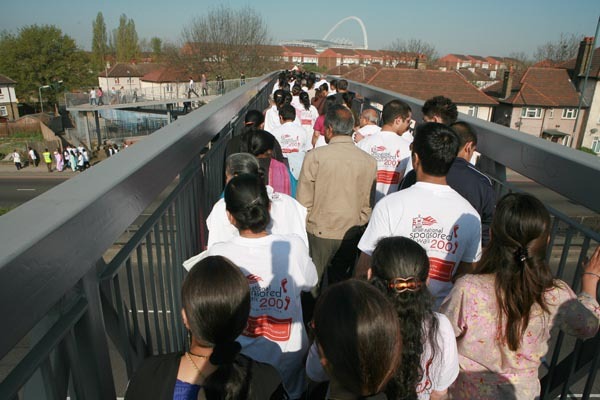 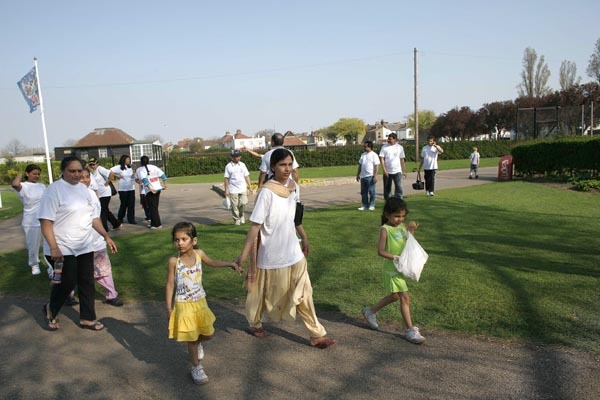 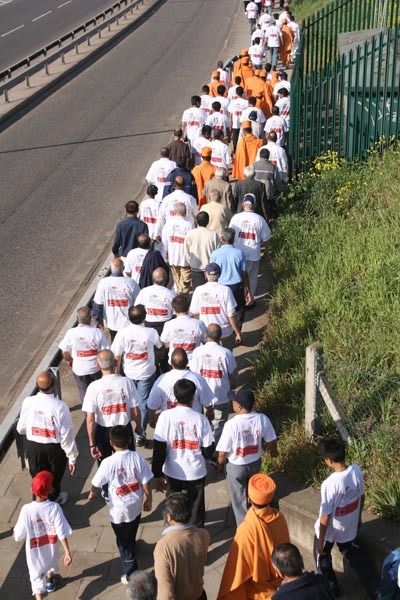 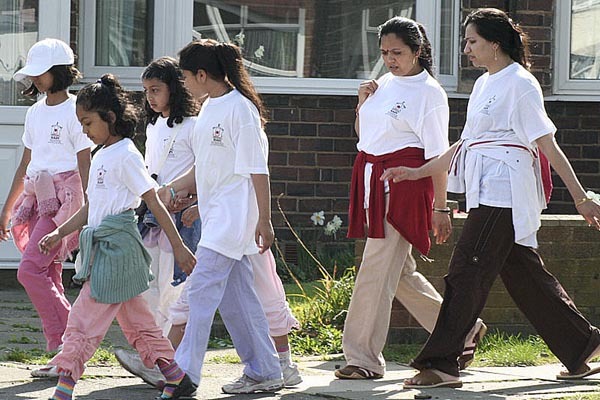 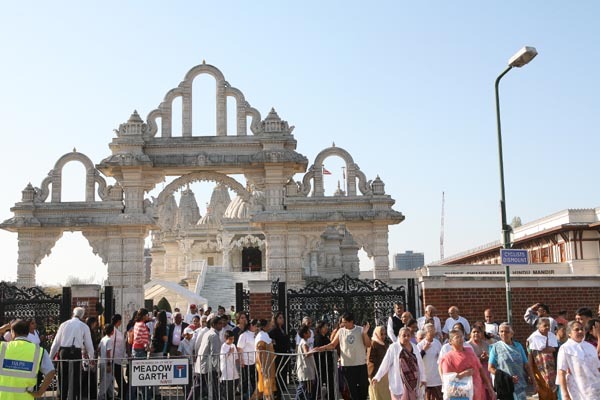 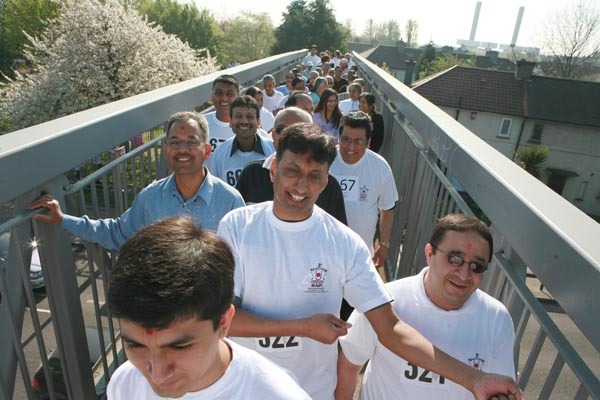 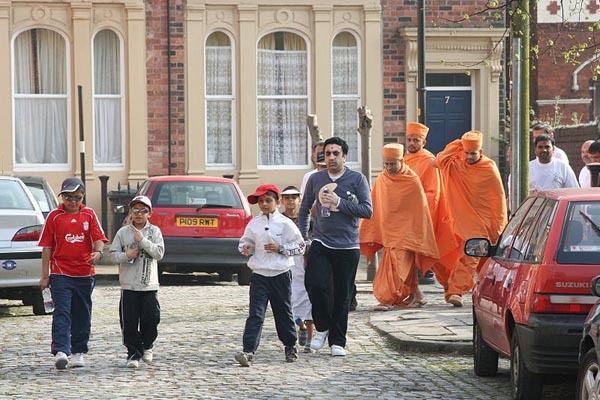 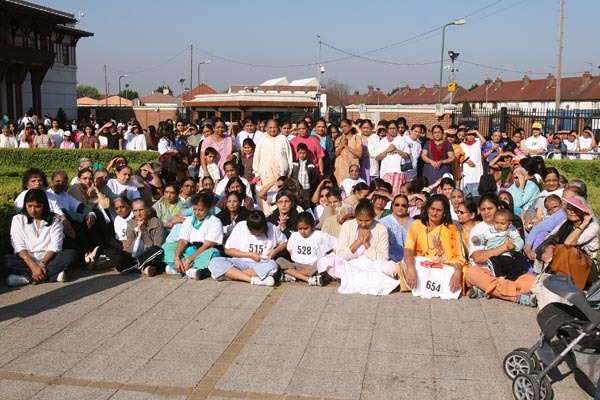 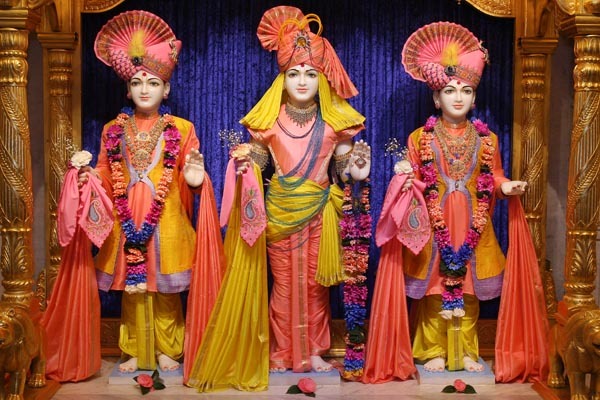 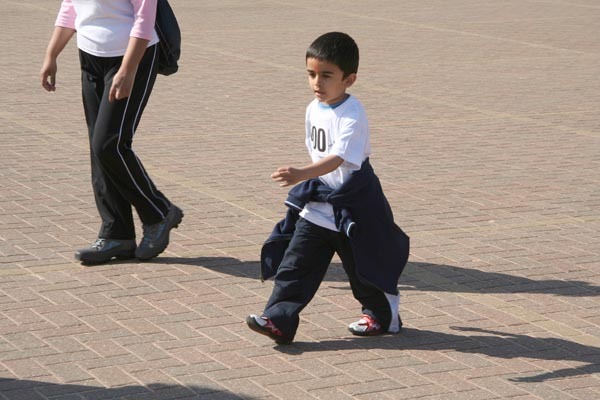 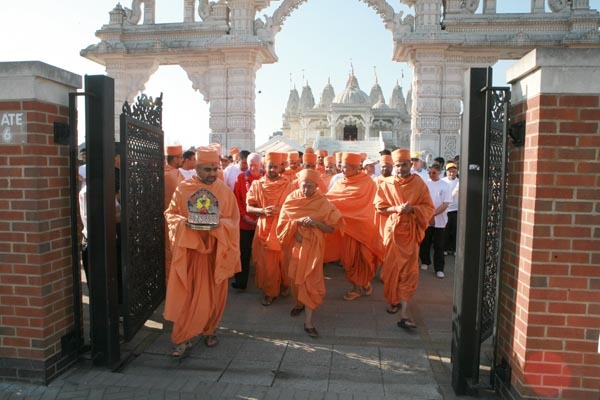 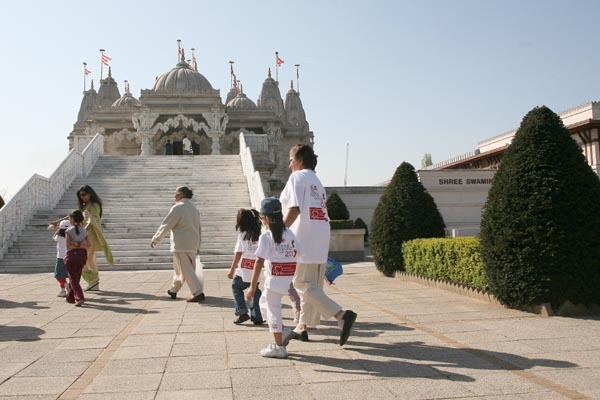 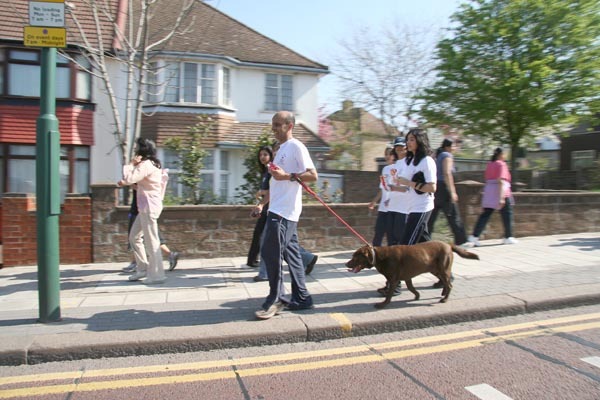 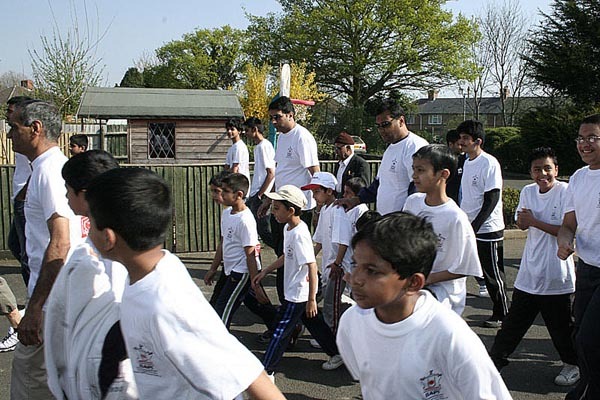 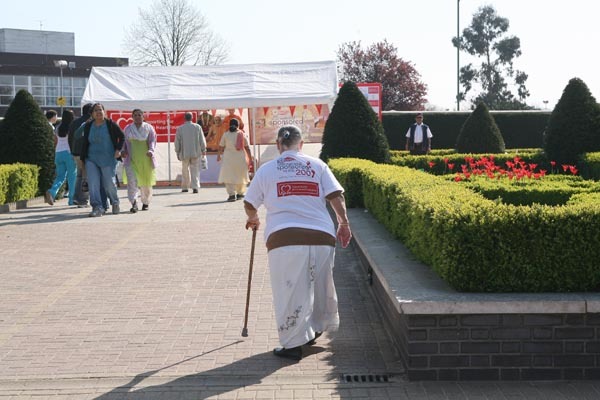 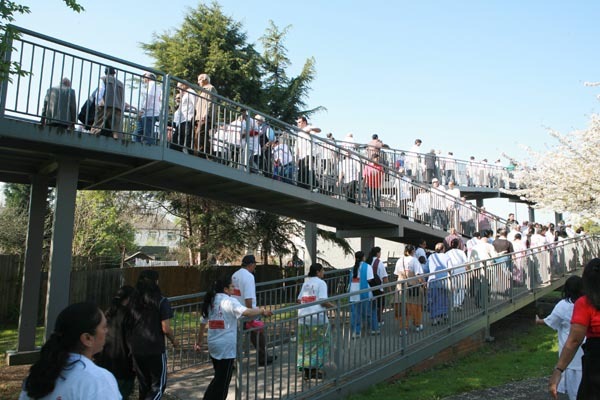 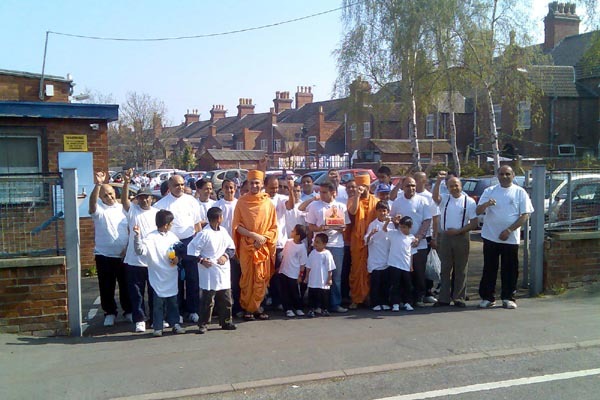 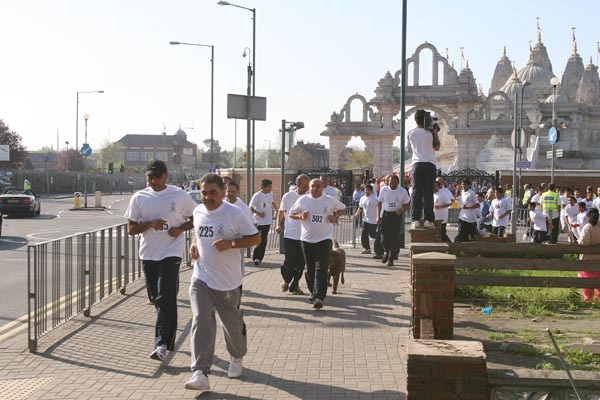 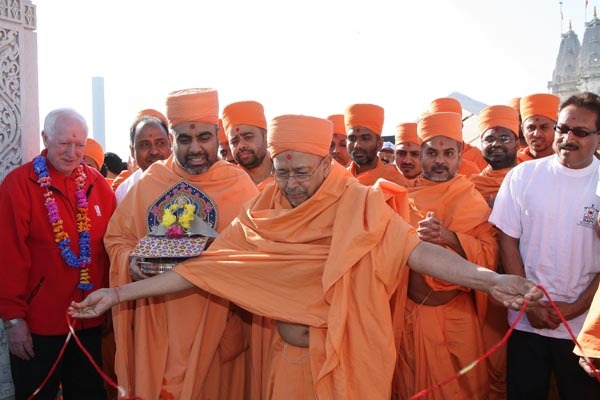 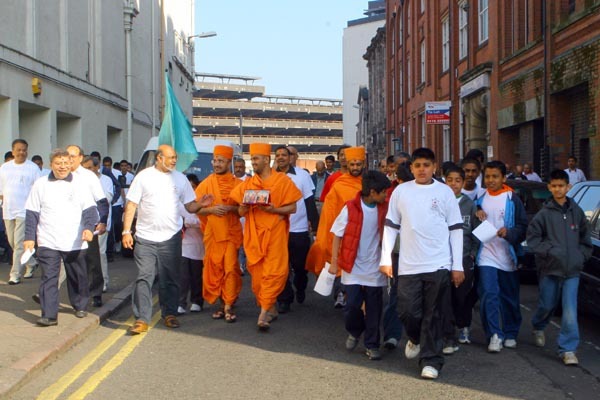 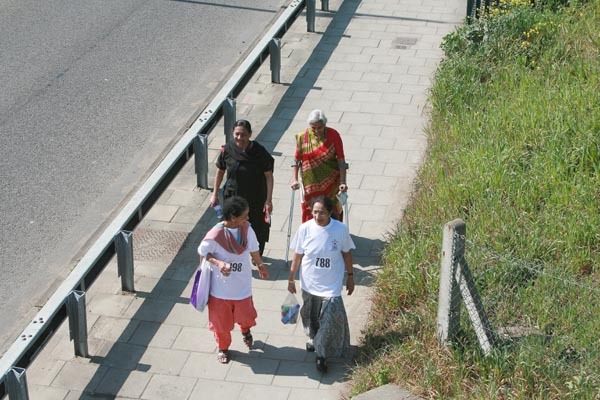 The main walk at BAPS Shri Swaminarayan Mandir, Neasden, London, commenced shortly after 9am from the Ceremonial Gate of the Mandir with the performance of Vedic rituals. 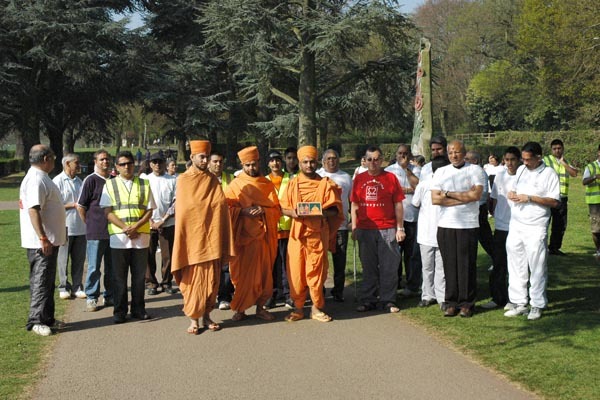 These were led by sadhus in the presence of Tyagvallabh Swami, a senior sadhu visiting from India. 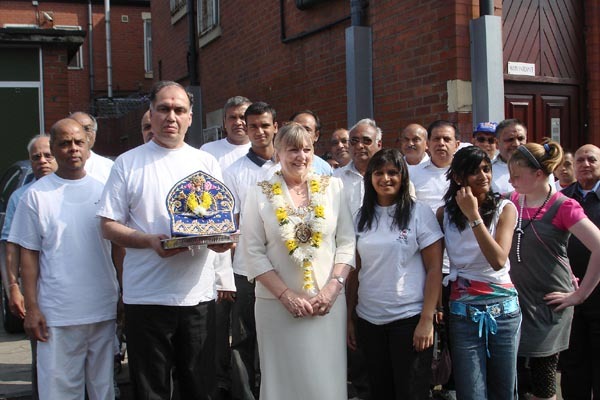 Invited guests included Vikram Solanki (England cricketer and Worcestershire Cricket Club captain), Mr. Jagadeesan (Economic Minister at the Indian High Commission), and Ian Stewart (Community Fundraising and Volunteer Manager for BHF). 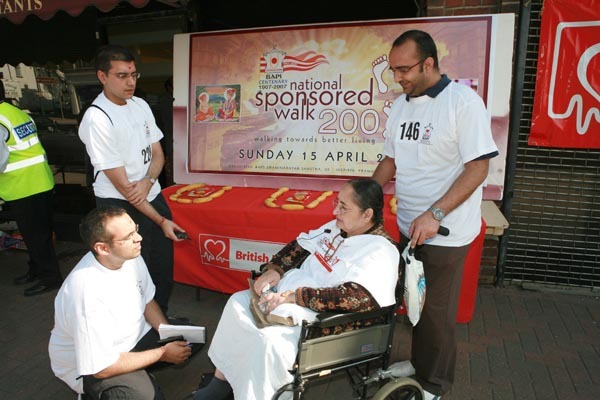 Expressing his gratitude and privilege to be associated with the event, Mr. Stewart praised the organisation of the Sponsored Walk and advised participants to embrace a healthier lifestyle though improved diet and exercise.More than 3,400 participants between the ages of 7 and 95 walked the distance of 10km at various centres throughout the country, with 2,300 walking in London alone. 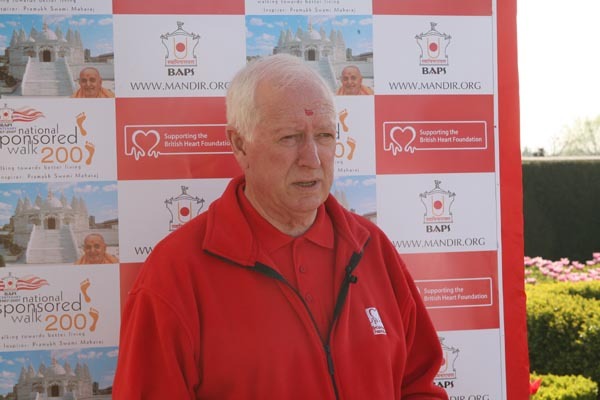 The route was stewarded by BAPS volunteers and provisions for medical assistance and refreshments were also available at rest points. 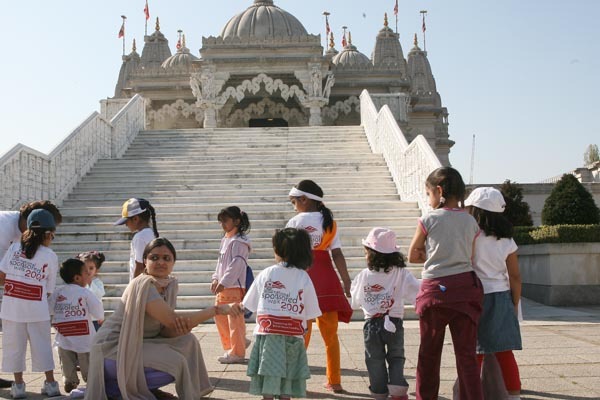 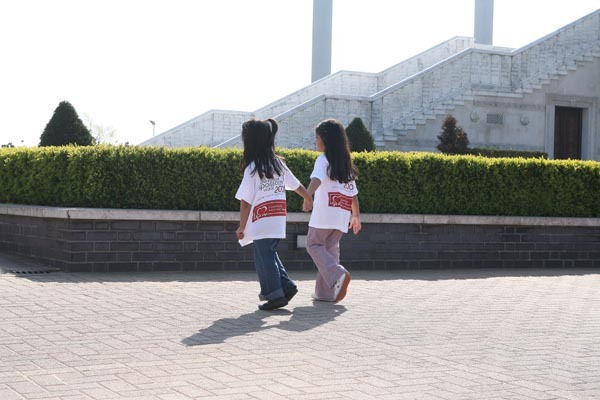 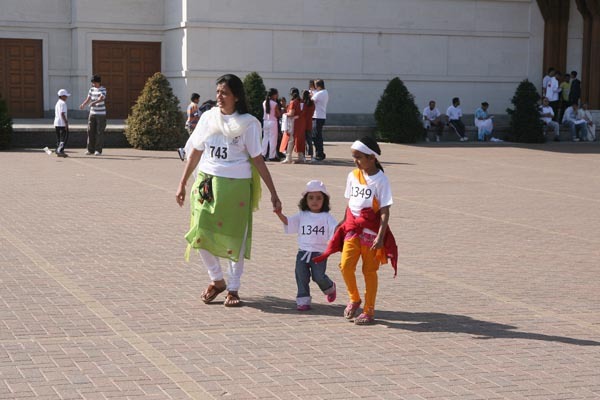 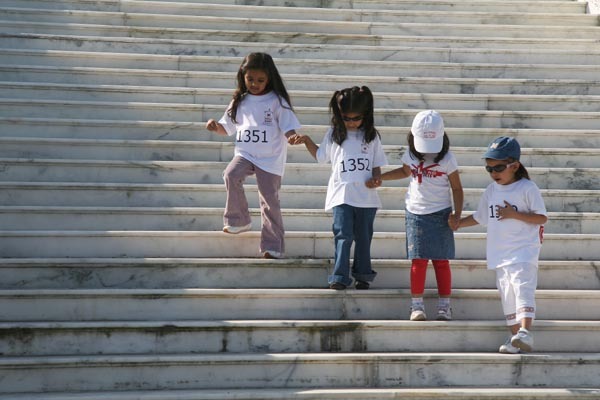 Special arrangements for younger walkers between the ages of 4 and 7 were in place for them to walk within the Mandir complex. 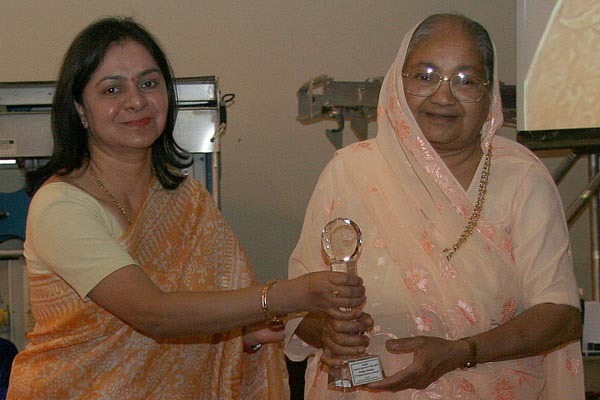 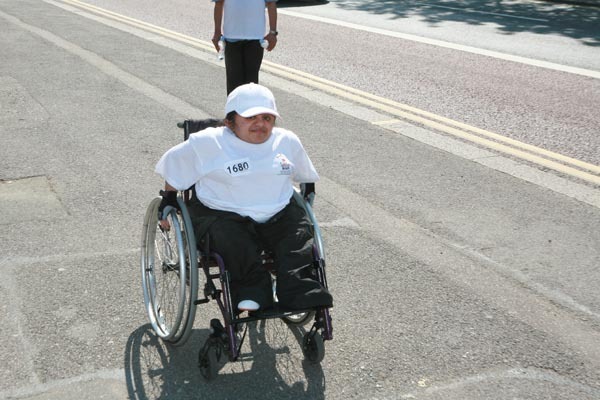 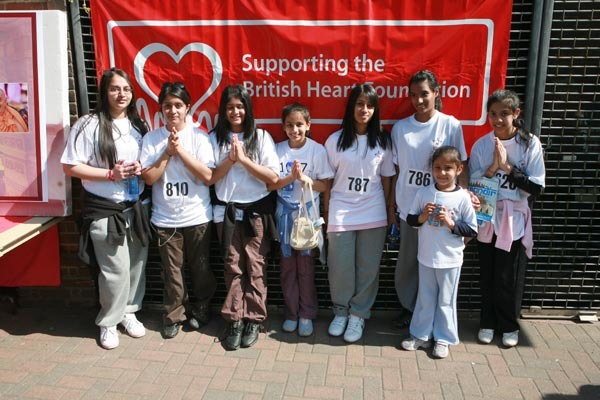 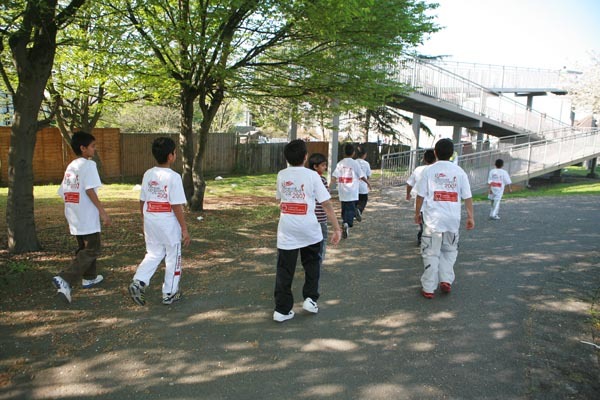 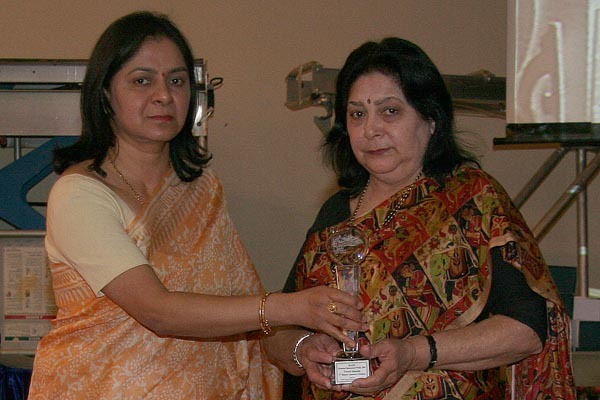 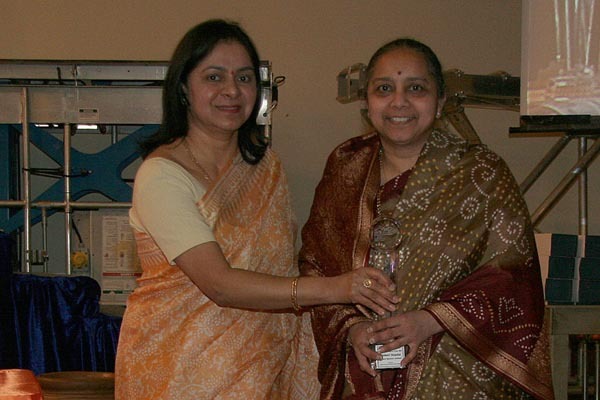 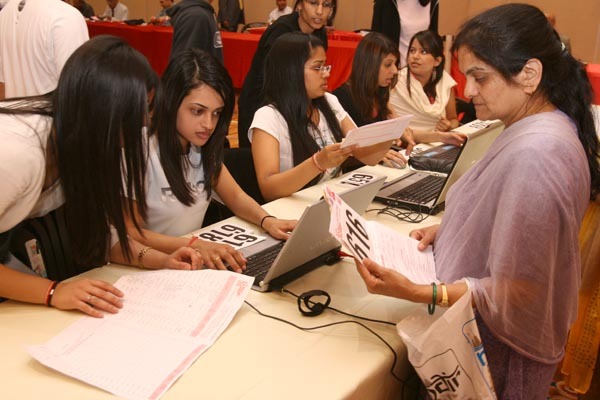 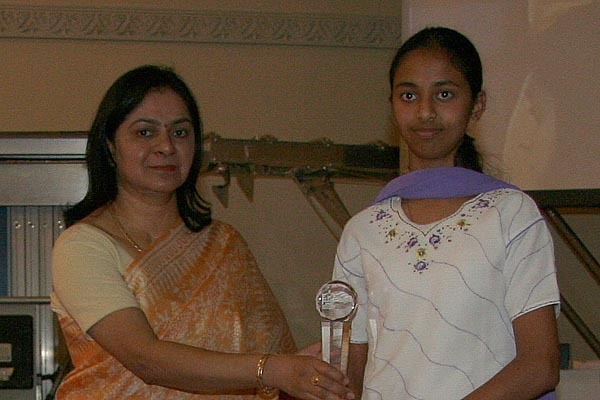 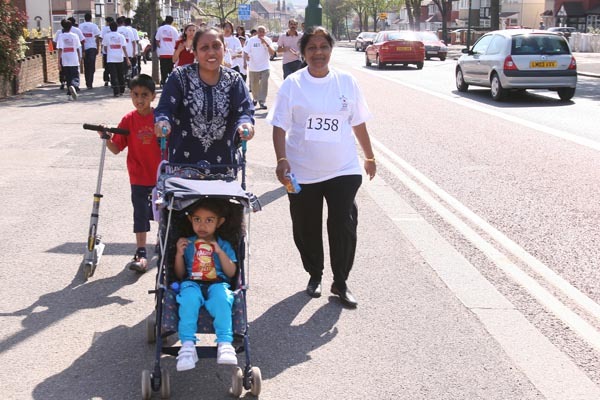 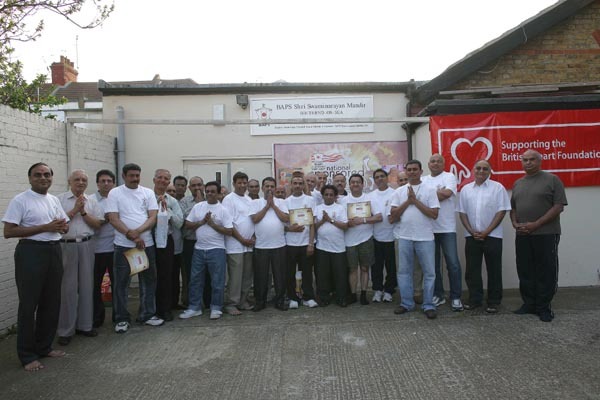 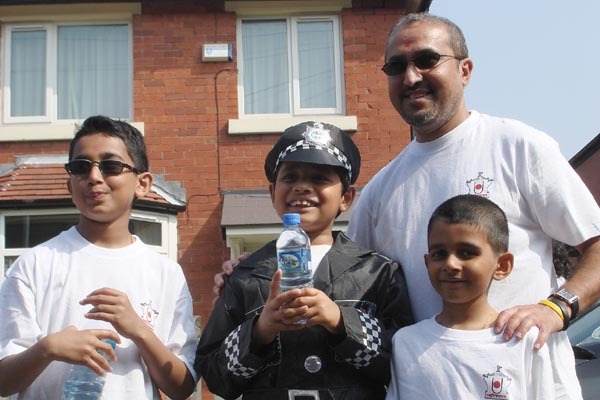 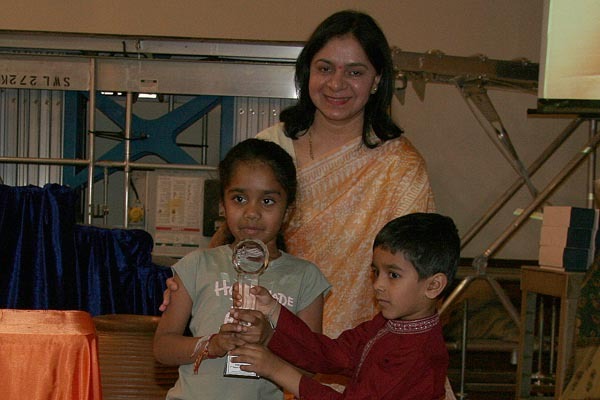 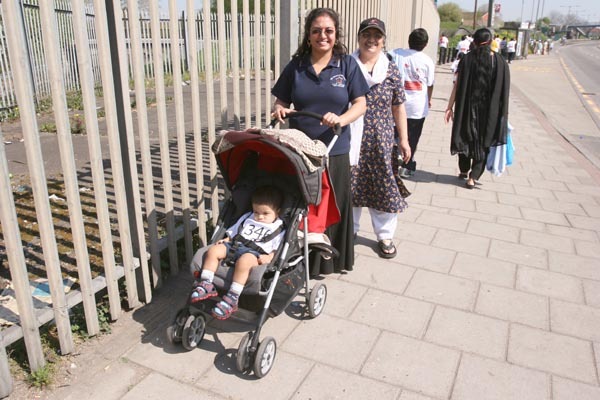 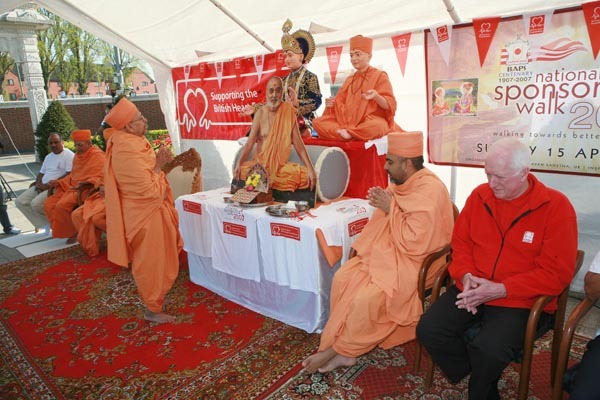 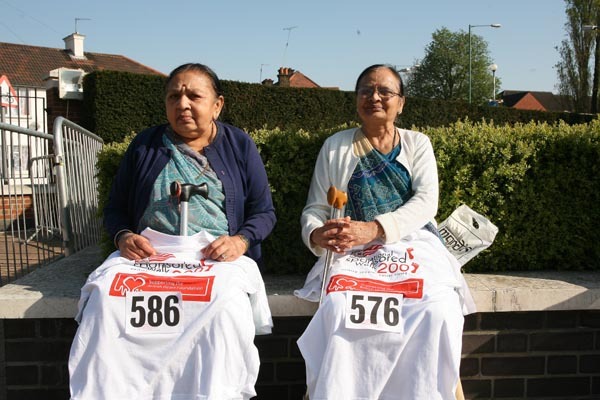 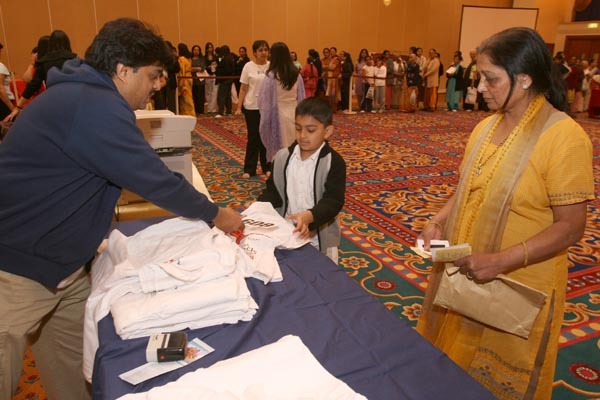 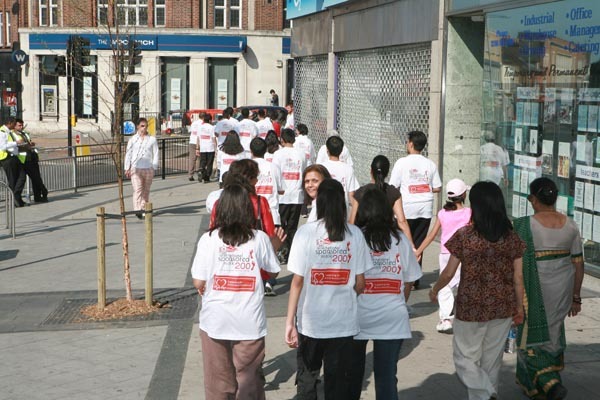 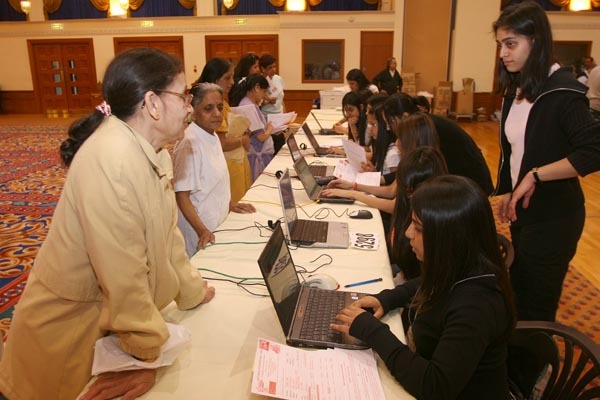 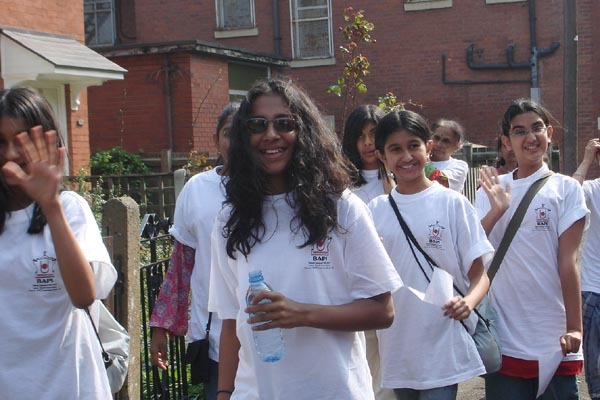 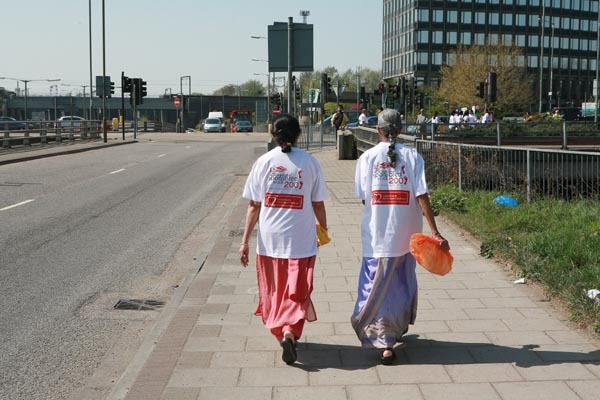 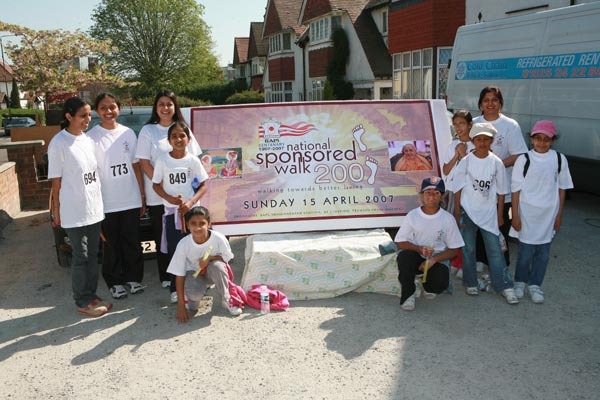 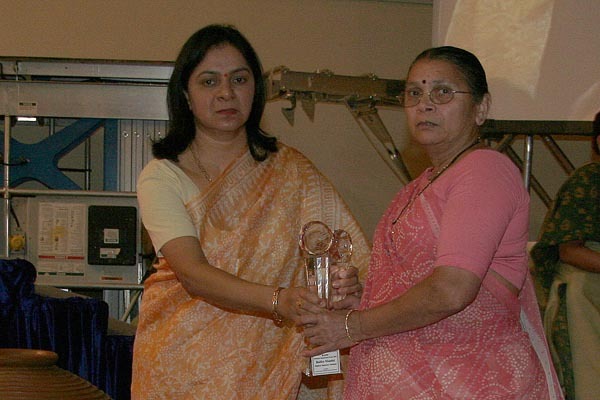 In addition to the BAPS Swaminarayan Sanstha’s various charitable activities, funds were also raised for the British Heart Foundation. 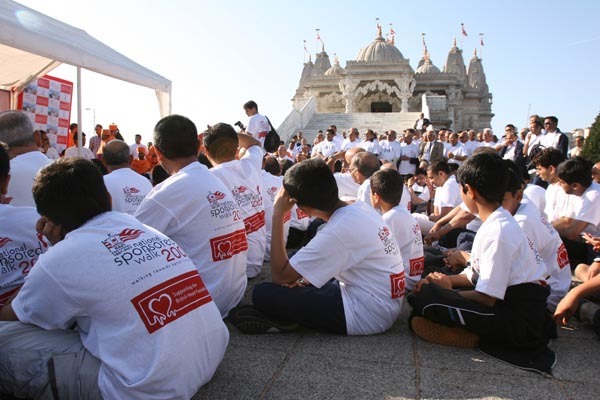 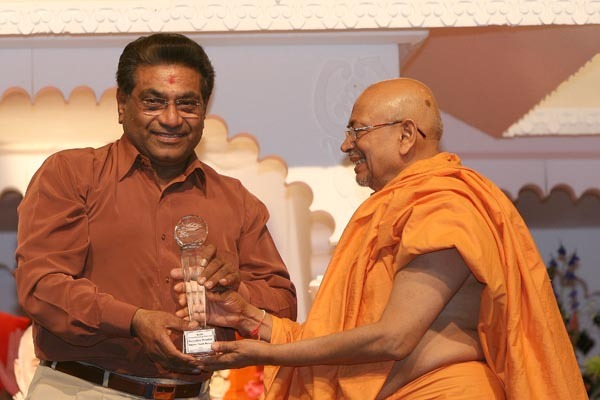 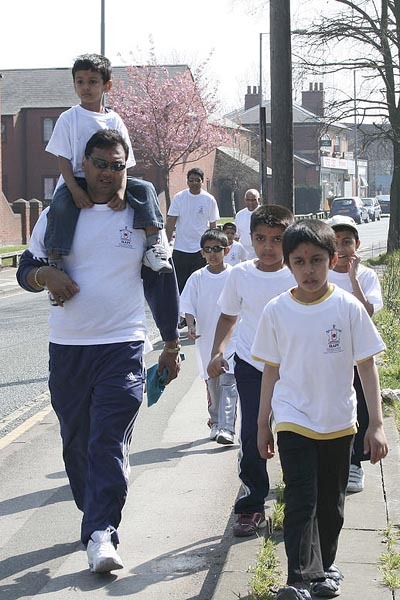 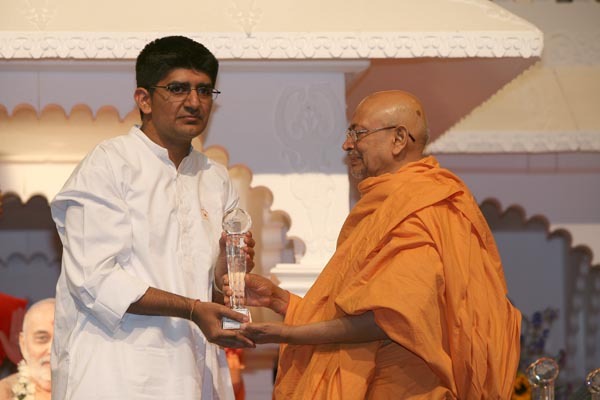 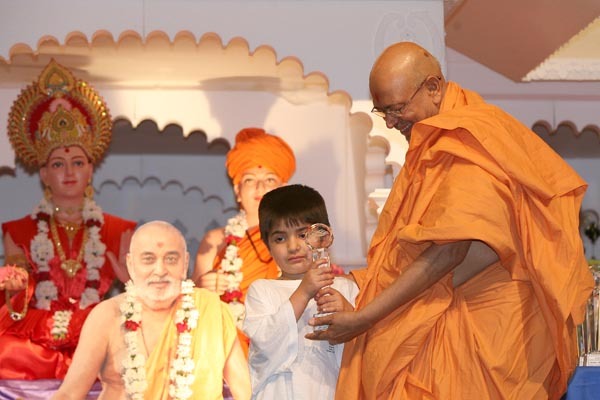 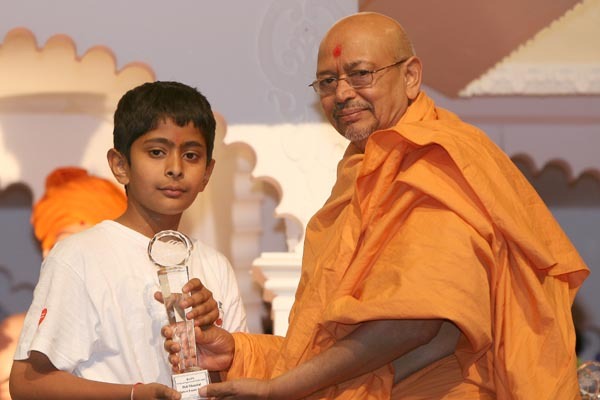 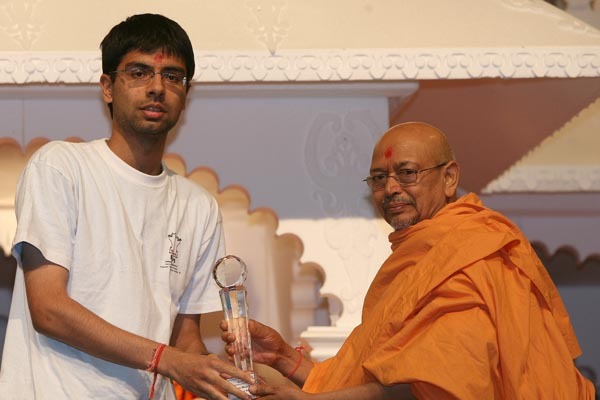 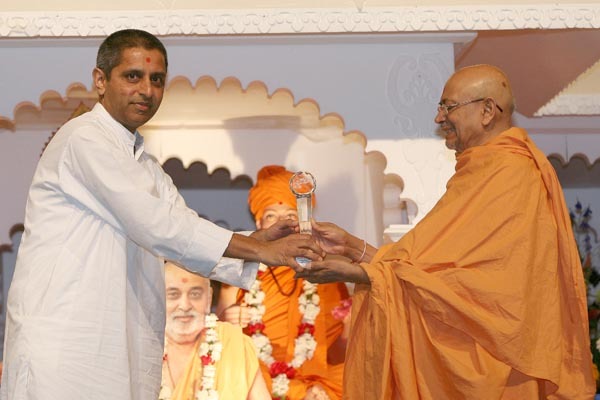 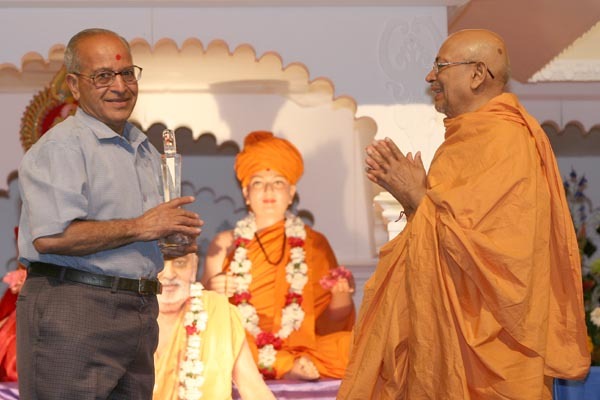 At 5.30pm, at the BAPS Shri Swaminarayan Mandir in London, the awards ceremony was held in the presence of Tyagvallabh Swami to reward the endeavours of individual efforts and to thank all those who had lent their kind support and time to make the Sponsored Walk an overwhelming success. 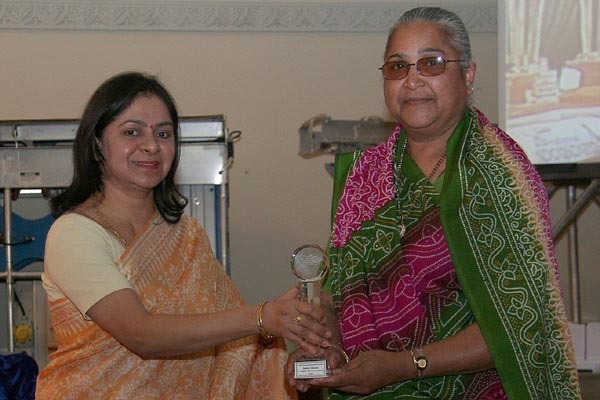 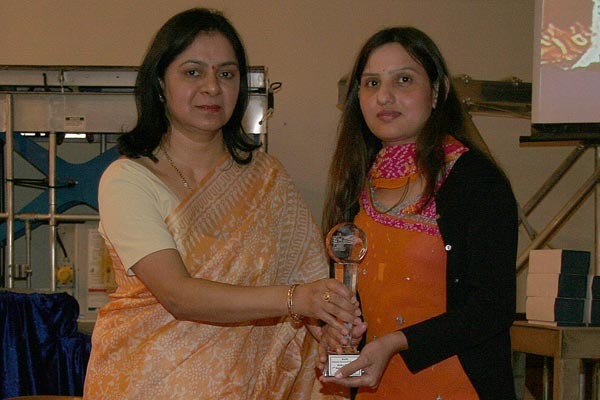 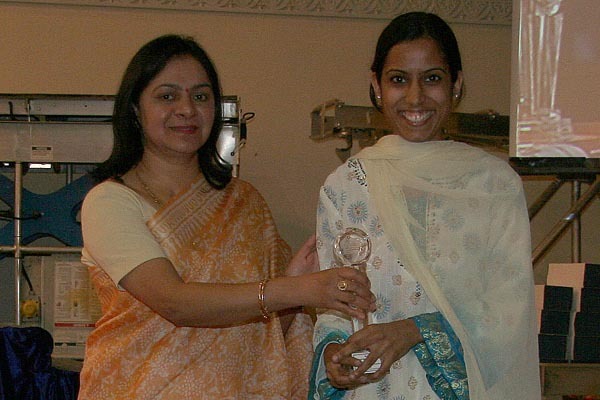 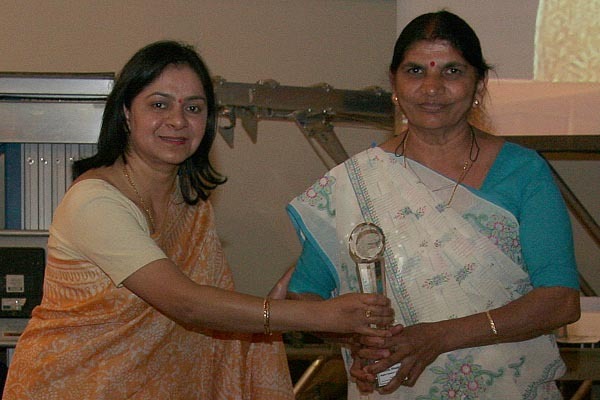 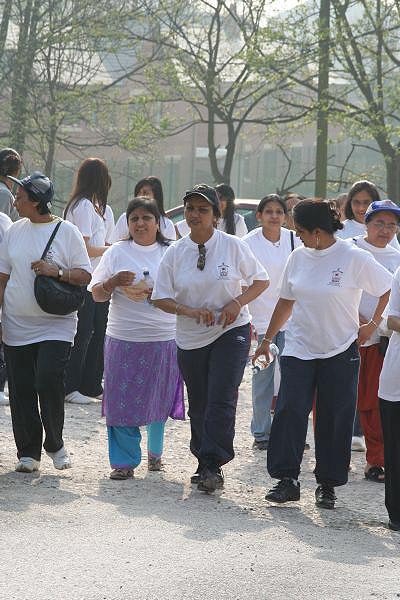 The event proved to be a great testimony of collective effort and determination.